South Uist, Benbecula and North Uist are the islands to go for, they're almost more loch than land. 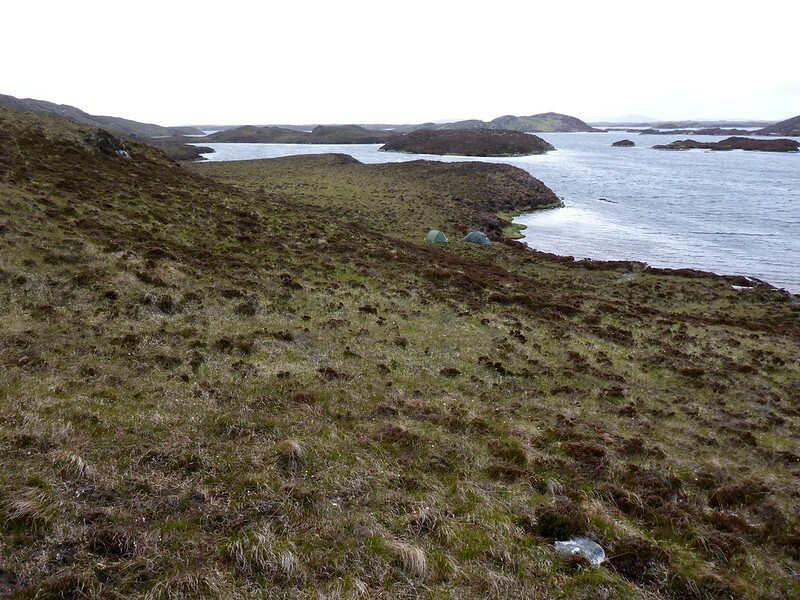 Not many inland lochs worth paddling on in Barra or Skye. If you get the Ordnance Survey map you'll be able to spot where the road is close to the water, then look on Google Maps satellite view or street view. Scottish law gives you access to almost any loch provided you're reasonable, see the Scottish Outdoor Access Code. When looking for parking spots, bear in mind that many roads are single track with passing places, which must not be parked in. Otherwise, take some anti-midge spray (Smidge is recommended) and you'll have a great time. Hi Bill, welcome to SotP. I live in Lancashire and we may meet up sometime. Chris B and I sought shelter from a storm by going into Loch Obasaraigh, on North Uist. 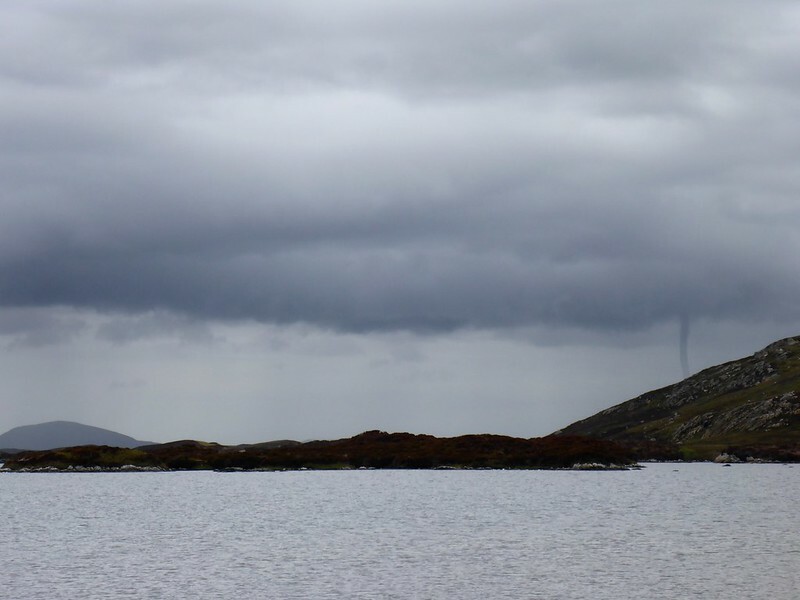 We watched this waterspout develop, it was away in the Atlantic. The day we left the loch to go back to sea. Fine weather but a stiff breeze. The surprising thing was the water, we expected freshwater but it was brackish. We did obtain freshwater from streams that ran into the loch. I hope that is some enticement, there is plenty of inland water and much of it can be connected. It may involve portage. In the ferry terminal these words were displayed.